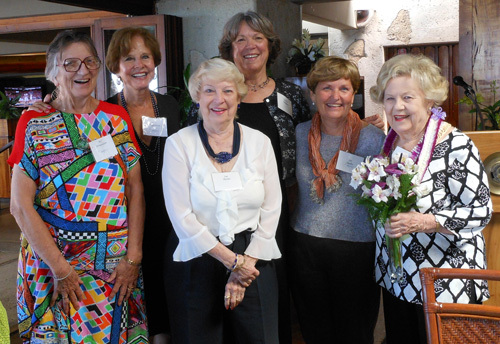 Mona Elmore, far right, and her late husband George Elmore were celebrated as the ARCS Foundation Honolulu Chapter’s Golden Hearts during the February 2013 Heart of Gold luncheon at the Outrigger Canoe Club. A former educator with a keen interest in science and discovery, Mona has generously sponsored Honolulu’s Scholar of the Year and Scientist of the Year awards for several years. Special guest speaker Gail Grabowski, professor of environmental studies at Chaminade University, struck a chord with the story of her personal ordeal with colon-rectal cancer. Refusing to be a victim of her cancer, she became an active participant in her recovery and provided valuable information to her doctors by applying the research-based approach she learned as a scientist to analysis of her own treatments. HELEN JONES FARRAR was born in the early 1890s to a wealthy kama‘aina family (founders of the Bank of Hawai‘i, Hawaiian Trust Company and Palama Settlement) and educated at O‘ahu College. A pioneer, she majored in science at Smith and was one of the first women to obtain a driver's license on O‘ahu. She married R.J.H. 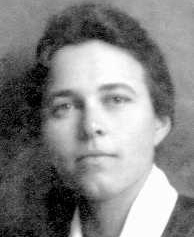 Farrar and lived on O‘ahu and then Hawai‘i Island, where she observed construction of the original telescopes on Mauna Kea and grew fascinated by astronomy. With no children of her own, she was extremely fond of the young astronomers she met in addition to her nieces and nephews. 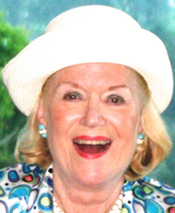 Her nephew Russel Richards established the Helen Jones Farrar Award as a fitting memorial. The award goes to an ARCS Scholar in astronomy or tropical agriculture. MAYBELLE FELKER ROTH was born in Bellingham, Washington, in 1898. She enjoyed camping and hiking with her family in the Cascade Mountains and earned a BS in home economics from Oregon State University. 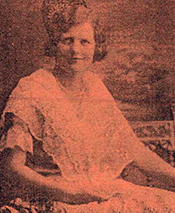 Following her husband’s death in 1927, she moved to Hilo and embarked on an around-the-world tour. She taught English in Asia and Spain and, after earning master’s degrees from UC Berkeley and the University of Hawai‘i, taught Spanish at UH. She studied in Mexico, authored A Tentative Three Year Secondary Course of Study in Spanish and contributed to purchase of books for the university. She traveled widely after retirement as associate professor in 1963 and was active in the Hawaiian Historical Society and Malacological Society. She became a vegetarian at age 92 and supported Dr. Terry Shintani's groundbreaking Hawai‘i Diet book project. Before her death in 1999 at age 101, she established an ARCS Award to support students engaged in studies related to conservation biology. 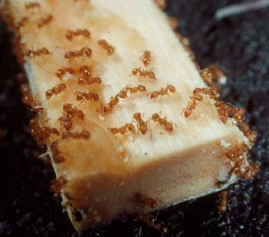 Ann Ho joined the Honolulu Chapter after hearing an ARCS Scholar talk about teaching school children to monitor invasive fire ants with peanut butter and a chopstick. 1976 Honolulu ARCS Scholar and Tampa Chapter member Pamela Hallock Muller was named one of 25 Top Women Professors in Florida. The University of South Florida marine scientist overcame gender discrimination and has mentored 60 graduate students, 10 of them from underrepresented minorities. 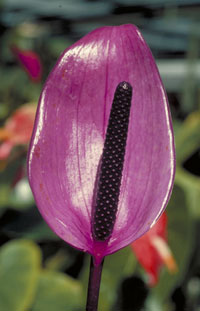 The ARCS anthurium was bred by University of Hawai‘i horticulturalist Haruyuki Kamemoto and named in honor of the ARCS Foundation in recognition of the Honolulu Chapter's support of graduate students in the College of Tropical Agriculture and Human Resources and other University of Hawaiʻi at Mānoa programs.